General Ledger Accounts can be deleted in SAP if it’s no longer required by the business. Before deleting a general ledger account in SAP there should not be any transaction posting to the GL Account and the General Ledger Master has been marked for deletion. Marking of General Ledger Accounts for deletion in SAP can be done at two levels and in the following ways. Like in the case of blocking the GL A/c here also you have to set the indicator “mark for deletion in the status in chart of account section” or “mark for deletion in the status in company code section” depending on your requirement. If you set the first indicator then system will mark the a/c for deletion in all the company code that uses the chart of accounts. If you set the second indicator then, system will mark the a/c for deletion only in the case of company code that is displaying on the top of the menu. Now the General Ledger A/c is marked for deletion in SAP. This indicator can always been reset if the master records for the a/c has not been deleted. Now you can archive General Ledger a/c master records in SAP that are no longer required by the business. 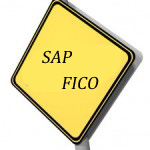 When you archive a General Ledger a/c master data, the system delete from the SAP databases and place it in a file which later transfer to an archive system. In the first step of archiving the gl a/cs master record; you mark the general ledger a/c for deletion in SAP and then run the deletion program for the GL A/c Master. System will not delete the Master data if there are transaction posting in it. If you delete a GL Account ( you have not posted anything) , can you be able to restore it by removing this indicator ?